Want to know why? Well take a look at this for starters…..
See who the best traders are, filter according to 3 month, 6 month and 1 year gain durations and start copying them today! And we have received lots of enquiries from people wanting to know more and exactly how do they get started. So to help you on your way then here is a recording of a couple of their live webinars, which focuses on finding the top traders on their social trading network and how to follow their success by automatically copying their trades. And you can come a get involved in a session yourself if you like by signing upto one of their FREE webinars too. Here’s a quick look at some of the latest features…. and how to use the ranking features to find the best traders…. And here is eToro CEO, Jonathan Assia, presenting the plaform at the Finovate Europe 2012 conference. Jonathan is presenting the brand new Guru Finder. The Guru Finder is a very clever search engine which allows you to find the best traders to copy from. Filter by risk level, win ratio, higher gains and much more. So find your gurus, let them trade for you and lean back. eToro OpenBook has revolutionized the way people trade to the core. No longer do private forex traders have to enter the financial markets in isolation and make their way through the intricate workings of the financial world in the dark. By connecting traders and creating a powerful investment network, eToro has enabled traders to join forces and use each other’s knowledge and experience to their advantage. Through OpenBook, eToro traders view live feeds of each other’s trading activities, follow top traders and gain their own followers, become market leaders of their countries, discover each other’s trading strategies and even copy trades with the click of a button. Now eToro innovates once more by introducing an additional feature to the social information stream – the trade story. The “Trade Story” option becomes available when a trader closes a profitable trade, in order to give traders the opportunity to learn more about the forex strategy behind the trade. Once the closing action appears in the live feed, OpenBook users can click on the “Trade Story” link to open an additional panel which shows a graph of the trade (including open and close prices), the duration of the trade, the leverage used, and the profit percentage made on the trade. This information provides viewers with even more insight into the tactics that led the particular trader to profit, tactics which they can then implement in their own trading activity. The Trade Story feature is now live on eToro OpenBook and is taking social trading yet another step forward, proving that the power of online community is a force to be reckoned with in the financial markets as well as outside of them. Learn the basics of forex trading and become a member of eToro’s social trading community to get the rest of the course and learn advanced forex trading strategies and techniques. Just click below for full details…..
Well with Valentine’s Day just around the corner have decided to start spreading the love with a free $20 Copy Coupon for everyone on their site, old & new. So what’s a Copy Coupon? A Copy Coupon is money that you can use in order to start copying any trader on OpenBook that strikes your fancy. *This offer is open to ALL eToro users, new & existing in all countries except the USA due to regulatory issues. **The coupon can be used only once per user. 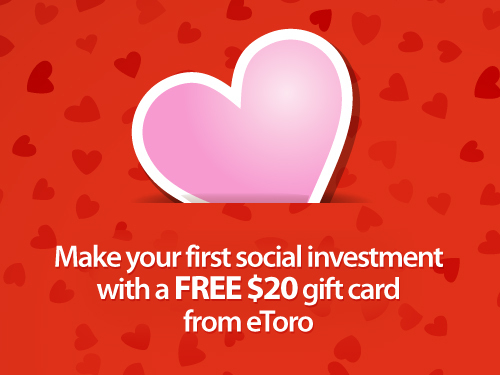 Note: You must connect your eToro account with Facebook or Twitter or Linkdin and share your bonus with your friends in order to activate the bonus. The CopyTrader concept is so simple it is brilliant. It lets you take advantage of the knowledge and expertise of other traders automatically. All you have to do is choose which profitable trader you wish to follow and you have a whole wealth of information at your fingertips to help you make your selections including full trading history, success rate, trading style, risk breakdown, number of followers, etc. Once you find the trader or traders, just click the COPY button and their trades become your trades. And now you have a totally free $20 to have a play with, brilliant. So if you already have an account then enjoy your free trading money, if not, then just click below to grab one now…. Want to know why? Well take a look at this for starters. eToro have now added the Trade Story feature to its social trading application, OpenBook, that will enable traders to learn more about each other’s trades. 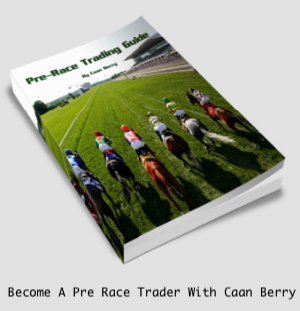 Just click below for full details and start copying what the top traders do, automatically….. Ever wanted to dip your toe into the world of Forex Trading but didn’t know where to start. With eToro’s latest trading innovation, OpenBook, the social trading network. We are very excited by this platform here at bet72 and are currently putting together a series of education videos and documentation to show everyone the unbelievable features of this trading software. OpenBook is suited to every kind of trader, regardless of their level of experience. Experienced traders can interact with other trading pros and share knowledge for mutual enrichment and new traders can even pick themselves a guru, follow their strategy and start earning the benefit of their experience by copying their trading action. And launching on 26th June is the next stage of the revolution, Copytrader. CopyTrader will allow eToro traders not only to see how others trade but also to follow the best traders automatically. Just find a trader in OpenBook, decide how much money you want to use in copying the trader (you can use either Real or Virtual money) and click copy to automatically open and close the same trading positions at the same time as your favourite trader does. Brilliant. Once you copied this trader, you can view and manage the entire automated trading activity, live with full transparency and full control. There are no management fees, commissions or any other hidden costs. CopyTrader is open for everyone on the OpenBook platform. So what are you waiting for, just click below to learn more and try OpenBook for yourself. A whole world of trading opportunities awaits. Having just completed the online training program over at eToro, we can highly recommend it as a great insight into the world of forex trading. So here is a little taster for everyone…..
eToro, the social trading network and forex platform, brings you the first lesson of its unique online forex trading course for free. Welcome to the world of social forex trading network. eToro’s OpenBook offers you a unique way to get started in Forex trading. With eToro’s latest trading innovation – the OpenBook social trading network.